In 11 days, Najim will turn 8 and I can’t think of a better birthday present to offer him than HOPE. Hope for a education, hope for full tummy, hope for health and hope for a future. Najim is growing up in Bangladesh, one of the most disaster prone nations in the world. Najim, his parents and 3 sisters live in a rural farming community on the southeast part of the country. The typical home in Najim’s community is constructed of bamboo wall with a metal roof and dirt floors. Community members survive on rice, fish and any vegetables they can afford. 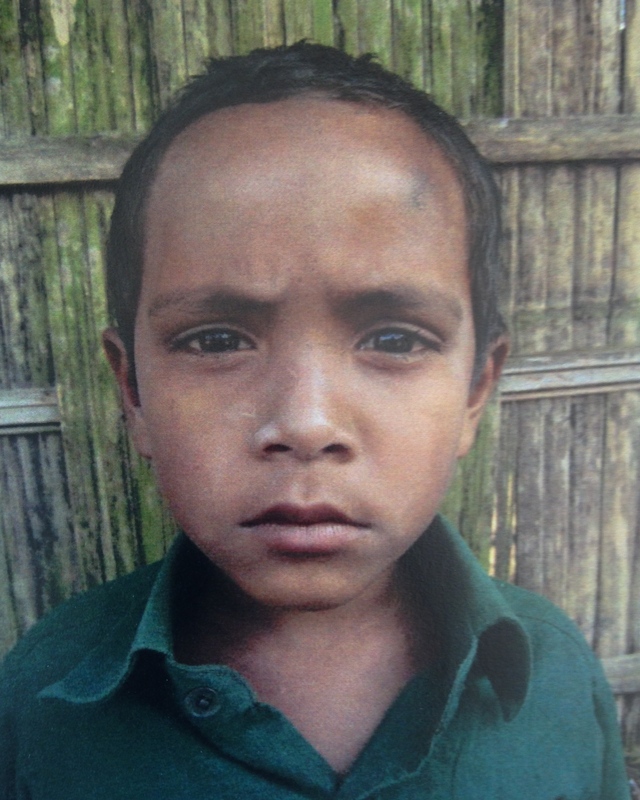 Najim is in primary school and enjoys coloring and playing cricket. A monthly gift of $35 will provide Najim and his community with improved healthcare and hygiene, school fees and new school buildings. Your support will provide preschool, coaching and adult literacy classes. New crop and animal production techniques will feed more families and improve their income. Let’s make this the best birthday yet for Najim! Comment on this post to sponsor Najim or click here to view other children in desperate need of your help today.